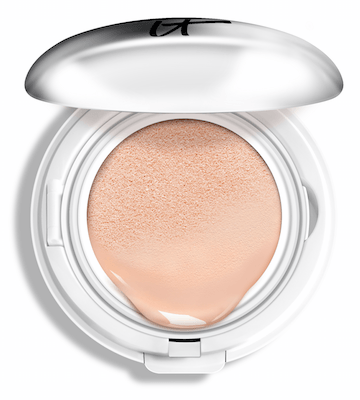 If you’ve been seeing “cushion compacts” and are curious as to what the fuss is all about, this new type of foundation (actually, cc cream) is taking the beauty world by storm. I’ve been intrigued, too. 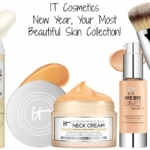 I’ve recently been using the IT Cosmetics CC+ Veil Beauty Fluid Foundation SPF 50+ and have to say, I’m a convert! 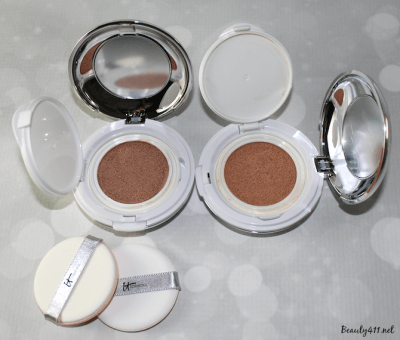 The main advantage to the cushion compacts are the dewy, glowy finish that you get and that’s true with IT Cosmetics CC+ Veil Beauty Fluid Foundation SPF 50+. 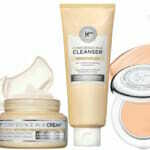 Like so many of their products, IT Cosmetics has packed this product with skincare ingredients. 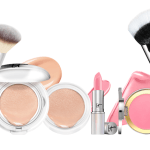 There are peptides, niacin (for brightening), antioxidants, hyaluronic acid for moisture retention–I can’t think of anther base makeup that has as much “good stuff” in there. 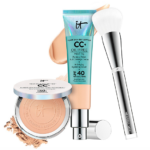 The main benefits to using IT Cosmetics CC+ Veil Beauty Fluid Foundation SPF 50+ are that it’s hydrating, color-correcting, a light, anti-aging formula and is in a compact. Whew! When you open the CC+ Veil Beauty Fluid Foundation SPF 50+ compact, you notice there is a covered well within, which holds the cushion makeup. An applicator sponge is included, however, for the most sanitary application, I would recommend washing the sponge after each application. You could also apply this foundation with your fingers or a Beautyblender; I find a “stippling” technique works best. 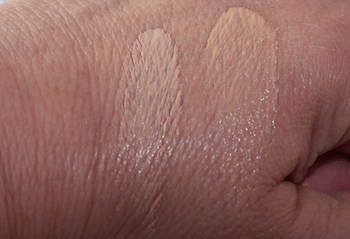 I tried two shades of CC+ Veil Beauty Fluid Foundation SPF 50+: Light (left) and Medium (right), which is also what I wear in Celebration Foundation. 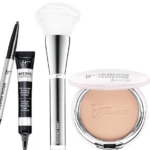 The finish is light, sheer, luminous and buildable. I really love this makeup and honestly, have been pretty much married this foundation every day since I first tried it. There are five shades available: Fair, Light, Medium, Tan and Rich. I do love the fact that there is SPF 50+ in the formula, but after using the CC+ Veil Beauty Fluid Foundation SPF 50+ for a few weeks, I’m not sure that you actually apply enough of this to get adequate enough protection. So I would recommend using additional sunscreen if you’re going to be exposed to UV rays. 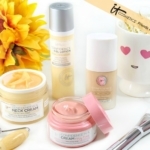 IT Cosmetics CC+ Veil Beauty Fluid Foundation SPF 50+ ($38) is another winning product in the lineup and I wouldn’t hesitate to recommend it. 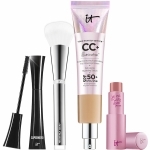 You can find CC+ Veil Beauty Fluid Foundation SPF 50+ at ITCosmetics.com, ULTA Beauty stores nationwide and ULTA.com and QVC. This IT Girl has a new foundation crush!